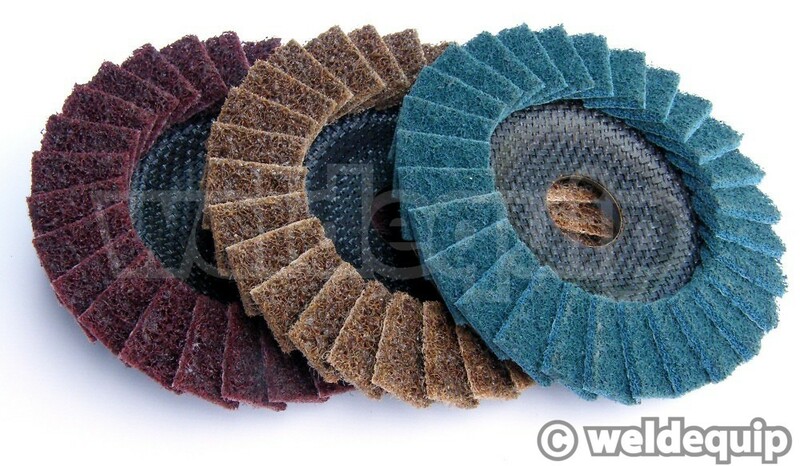 Brilliant for preparing & polishing Stainless Steel, Aluminium, Mild Steel etc.etc. 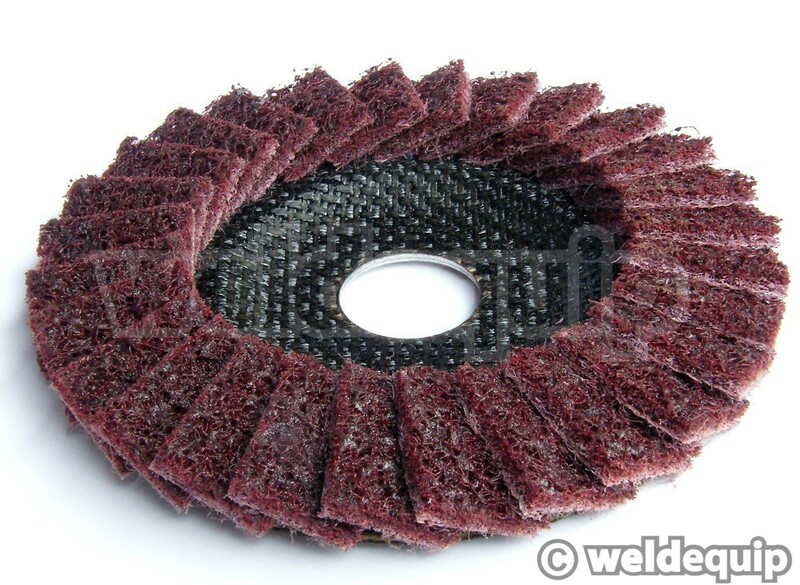 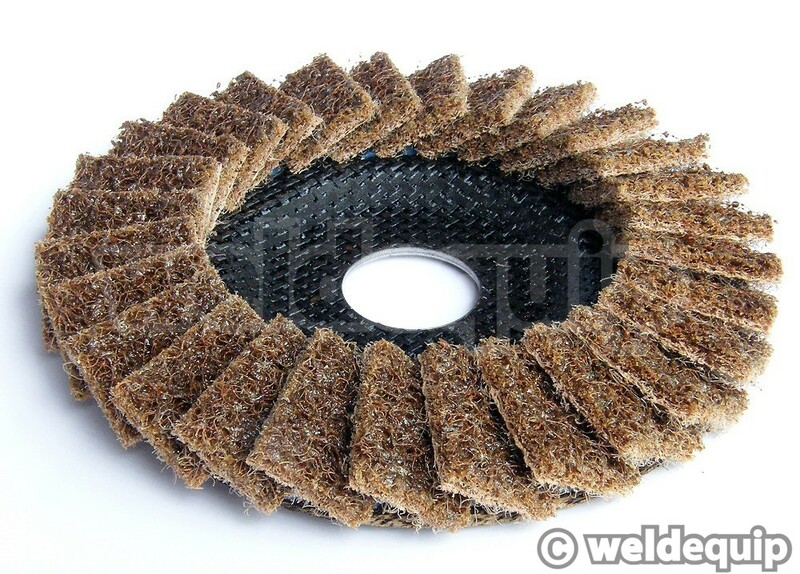 Use for de-scaling & de-rusting work-pieces, preparing & finishing weld seams, removing oxide film & annealing colours after welding & plasma cutting. 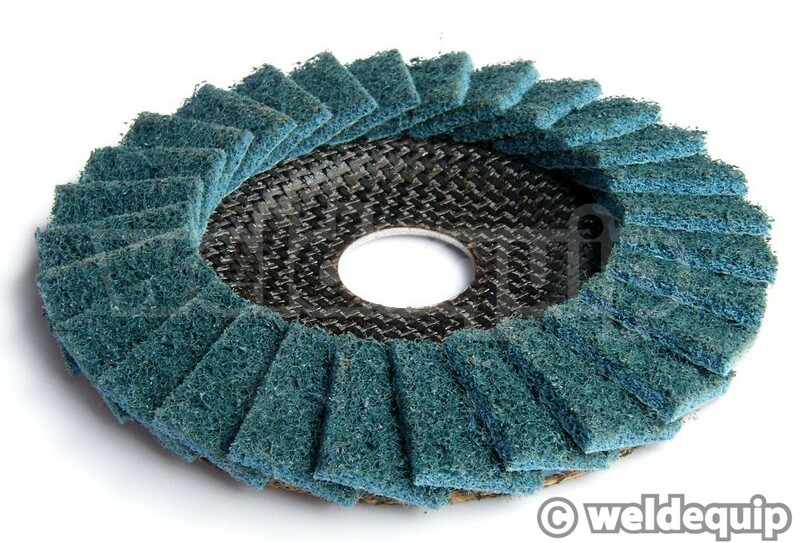 Fibre-glass backed and will fit straight on any 115mm angle grinder. 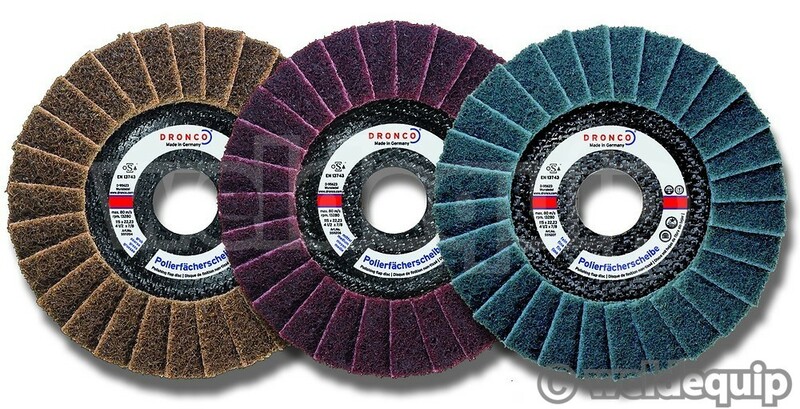 For polishing corner joints & other awkward areas take a look at the new Dronco polishing wheel.